I will never tire of Little Big Town. To me, they are not only one of the best artists in Country Music but quite possibly one of the best artists in the world. Ever since I first heard Little White Church back in 2010, I have been a Little Big Town addict and am disappointed in myself to not have known about them prior to The Reason Why album. Little Big Town have come along way since The Reason Why, since that day I first heard them. Their album Tornado took off quite like a tornado itself with singles Pontoon and title track Tornado, their sound was starting to truly make it’s mark within the country music industry and fandom. The album Pain Killer became even more successful, especially with the success of Girl Crush. The Breaker does not disappoint. With the band smartly releasing four songs over the course of the records release date, fans have been talking non stop about it and are extremely excited to hear the album in it’s entirety. The Breaker reigns in elements of their old sound as well as their Tornado and Pain Killer sound mixed with a slightly new identity too. 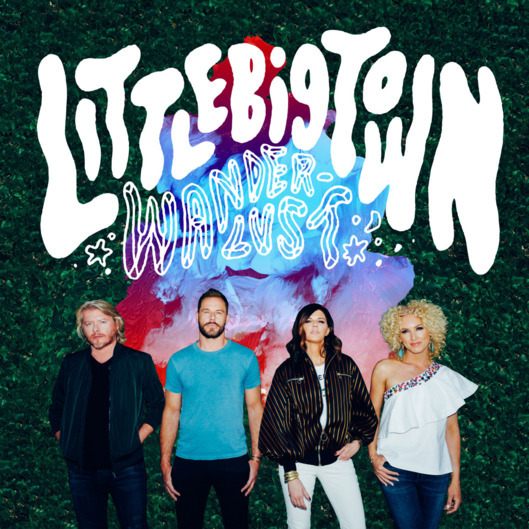 Little Big Town can do no wrong in my opinion, even their album Wanderlust with Pharell Williams was a spectacular album despite it not being country. With harmonies as good as theirs, they could sing the phone book and I would buy it in a second. I do often wish we would hear more lead vocals from Kimberley Schalpman though, not that I don’t enjoy Karen Fairchild’s voice because I do, very much so, it would just be nice for Kimberley to get a bit more solo material because I could listen to her voice all day. That doesn’t take anything away from how fantastic The Breaker is though. The album has the perfect balance of up beat, mid tempo to hypnotic ballads. Happy People – pretty much like the title says, this song is happy and uplifting. 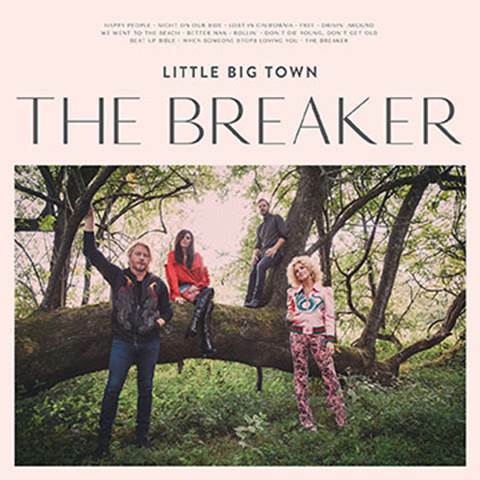 It has a vibrant, bubbly, energetic melody but not too forceful, which is a great way to kick off the album and the way Little Big Town seem to start all their recent albums. It gets you excited for the rest of the albums content. The song has a heavily infectious, toe tapping beat and the lyrics send a great message too. Night On Our Side – my least favourite off the album but it is still a good song. I just feel it lacks what the rest of the album provides, it may just he the fact that the rest of the album is so solid. A mid tempo track with a great steady beat and a memorable chorus. Lost In California – a remarkably melodious and gratifying song which is wholesome and pure with breathtaking, hauntingly beautiful, dreamy vocals. The song has a glorious melody which has a gentle tranquil heavenly style. Unexpected ending, but I like it, it’s different and quirky. Free – such an amazing song which really stood out to me and there is no wonder seeing as the song is written by Barry Dean, Natalie Hemby, Luke Laird and Lori McKenna. A stunning ballad with a breathtaking melody. I can really see this song being a single and I hope it becomes one. It has such gorgeous harmonies that make me have goosebumps. This song is one of those moments in a show when you hold up your lighters, ok phones nowadays but still. It has a beautiful chilling, echoing sound to it which is slightly breezy and haunting and has a 90’s pop twist to it which reminds me of Pure Shores by All Saints. 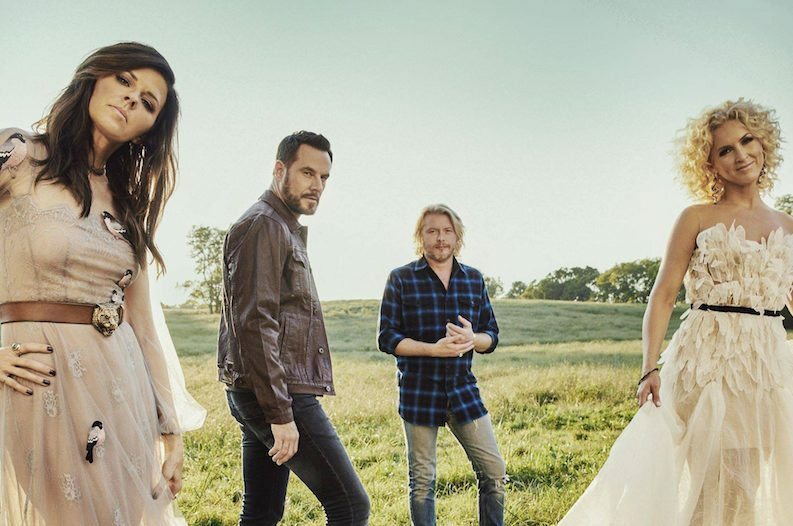 Drivin’ Around – one of the up tempo type tracks that Little Big Town are so dang good at. This song is up there with Stay All Night and Save Your Sin from Pain Killer. An electrifying song which is really energising and fast paced. Such a fun track with so much life to it. We Went To The Beach – Philip Sweet takes lead vocal on this track. A melodious song with a really soothing vibe. This song almost offers contentment upon listening to it. It has a calming energy and the riff of the song is smooth. A lovely mid tempo track with wonderful instrumentation and lovely lyrics. Betterman – the debut single off the album, written by Taylor Swift and which recently scored Little Big Town a number one. It is a wonderful song with a simple yet relatable, on point lyrics and a fantastic melody with Karens voice bringing the song to a really high standard. This song may have been written by Taylor Swift but it was hands down meant to be recorded by Little Big Town and I cannot imagine it being sung by anyone else. However, as good as this song is, it isn’t even the best track off the album which stands well for what to expect from The Breaker. Rollin’ – the rock country song of the album. This has a 80’s/90’s rock style to it which is really fun. Not my favourite off the album but I have a feeling if I see this song live my mind will be changed. Little Big Towns vocals really suit a rockier side though. Don’t Die Young, Don’t Get Old – I love this song. Has a nice country folk style that you can imagine being sung by artists such as The Wandering Hearts. This is a great sound for Little Big Town. I love the ease on Karen’s vocals that make the song slightly sleepy and dreamy with a lovely serene, hypnotic and enchanting melody. Beat Up Bible – Yes! A song with just the wonderful Kimberley singing. I love Kimberleys voice. She has such a unique and distinctive, traditional, sweet-sounding country tone that you would recognise her voice anywhere. A slow tempo tune which is simply stunning. If I saw this song live in an acoustic setting I think I may just cry. It has so much emotional beauty and a real passionate feel to it. Kimberley has the ability to transform a song into something so much more, that I can’t even describe it. When Someone Stops Loving You – Jimi takes lead vocal on this song. Another gorgeous slow tempo to mid tempo song. Like so many of their songs, this is a chilling, goosebumps ballad that pulls at your heart strings. Jimi sings this song with so much depth and makes it a story, which of course is what Country Music is all about. This country blues song is a real tear jerker and you believe every word of it. The Breaker – the title track and finale of the album. Little Big Town always end their albums with a slow tempo song that takes their harmonies to a whole new level. The chorus of this song has a really charming chorus. The drive of this song is slightly melancholic and doesn’t travel far, but that is the beauty of it. Simple, poetic, stunning. Overall, another epic masterpiece from one of the greatest bands of all time. 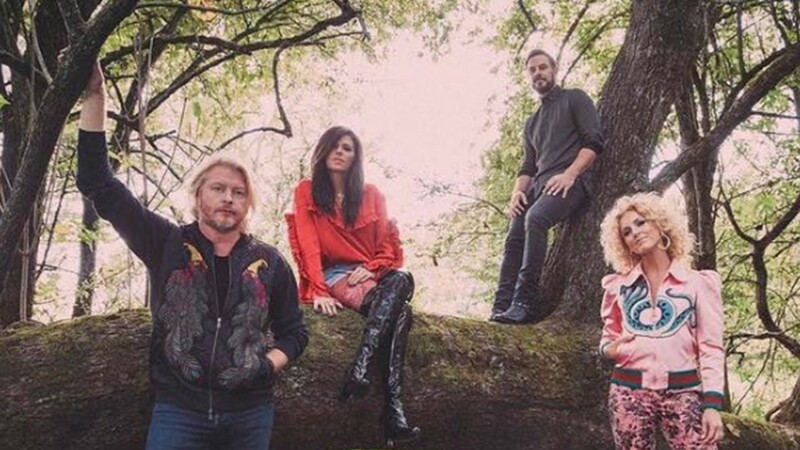 Little Big Town grow from strength to strength and will be producing record breaking music for years and years to come I hope. This album is more than a Pain Killer, it will create more than a Tornado and is quite frankly The Reason Why I fell in love with Little Big Town in the first place. Little Big Town have worked extremely hard to find A Place To Land within the music industry and The Road To Here has been an exciting and highly successful many years and the band deserve every bit of recognition, every award nomination, every kind word they receive. 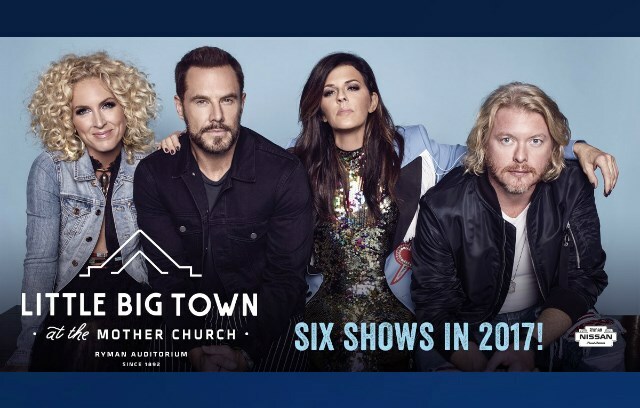 Little Big Town will be at the Mother Church – Ryman Auditorium for a residency. The first ever Ryman residency, slated for six nights in 2017, will kick-off on February 24 during Country Radio Seminar week. 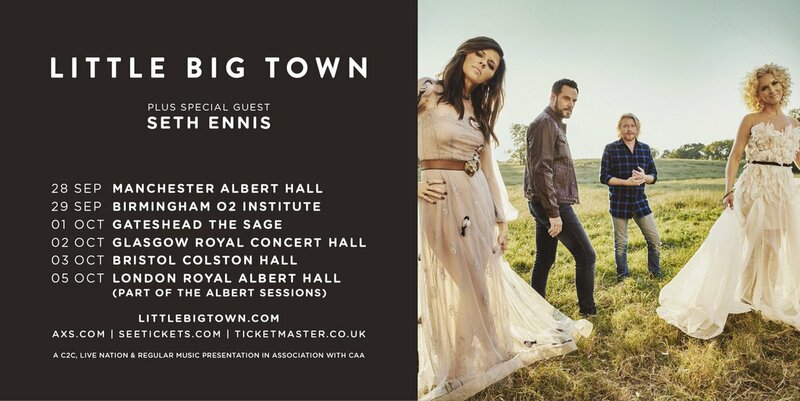 Little Big Town also return to the UK in September for a tour and will be bringing rising star Seth Ennis with them, the tour covers Birmingham, Manchester, Bristol, Gateshead, Glasgow and an unmissable night at London’s The Royal Albert Hall.